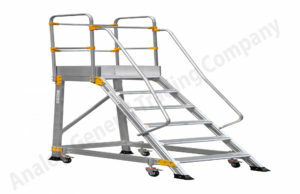 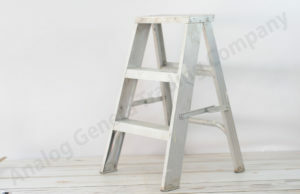 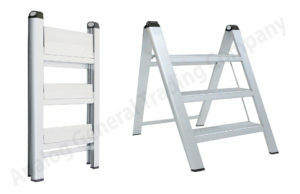 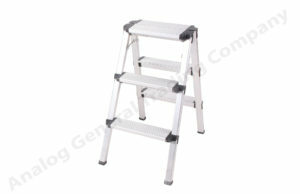 Aluminum Trolley Type 5” step ladder with wheels 6” dia. 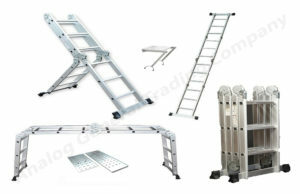 To manufacture the most convenient ladders, we are equipped with a sufficient infrastructure that is spread to a wide area. 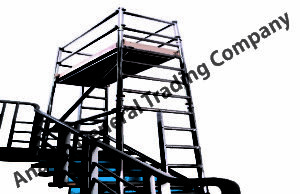 The infrastructure is divided into various units to ensure all the process to take place in a smooth way. 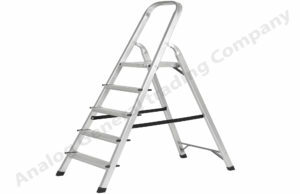 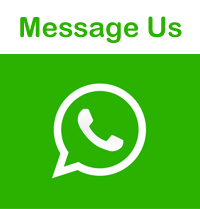 At our manufacturing unit, we make use of the latest cutting, punching and bending as well as welding machines to manufactures the ladder as per the industry standards. 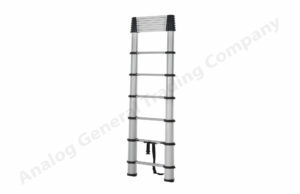 Also for, quality of our ladders, we procure the aluminum ladders various quality checks performed by a team of the skilled quality controller. 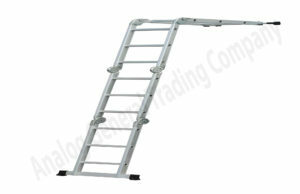 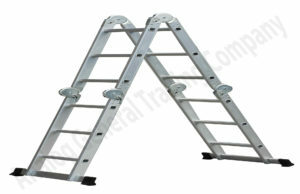 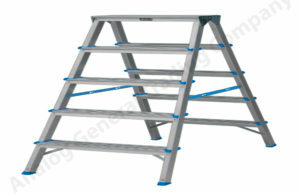 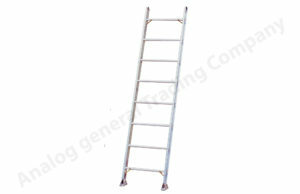 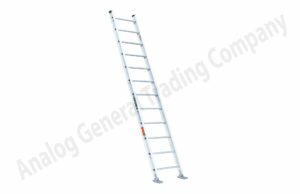 Moreover, for providing the high-quality ladders consistently, we have been able to cater a huge clientele group.